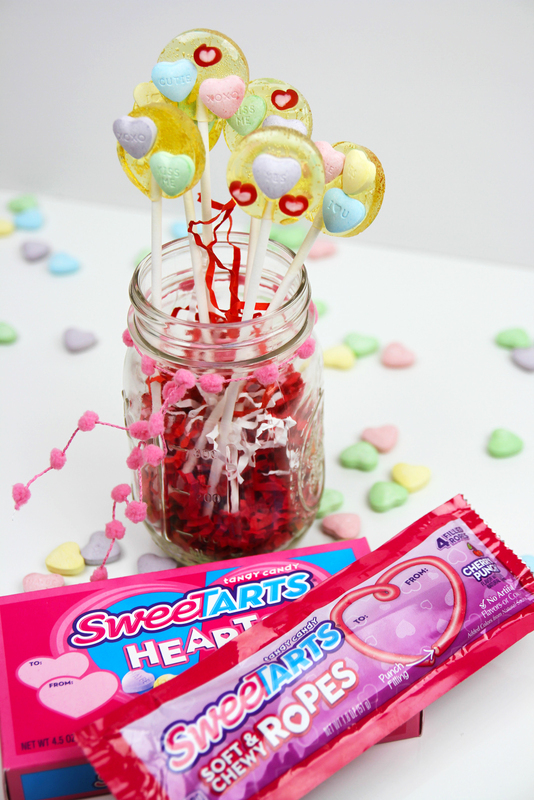 I was asked by Nestlé to come up with a fun Valentine's Day DIY using their SweeTARTS Hearts and SweeTARTS Soft & Chewy Ropes, so check out my delicious SweeTART lollipop recipe! As a kid, SweeTARTS were one of my all-time favorite candies -- I love the sweet and the tang -- and now they are one of my daughter's. So yes, she was super excited I got to work on this post. I wanted to create something easy, love-filled, and fun, so I thought adding SweetTARTS to homemade lollipops would be the perfect touch. 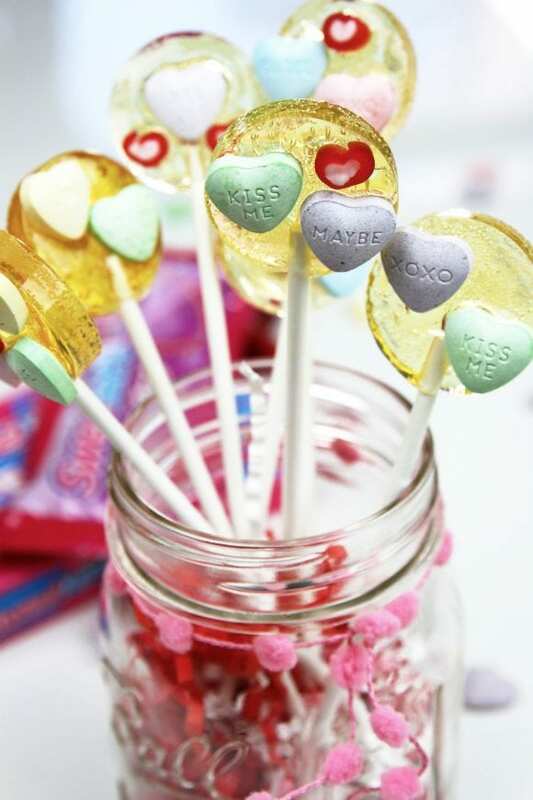 The best part was I got to choose the special sentiments on each of my lollipops. 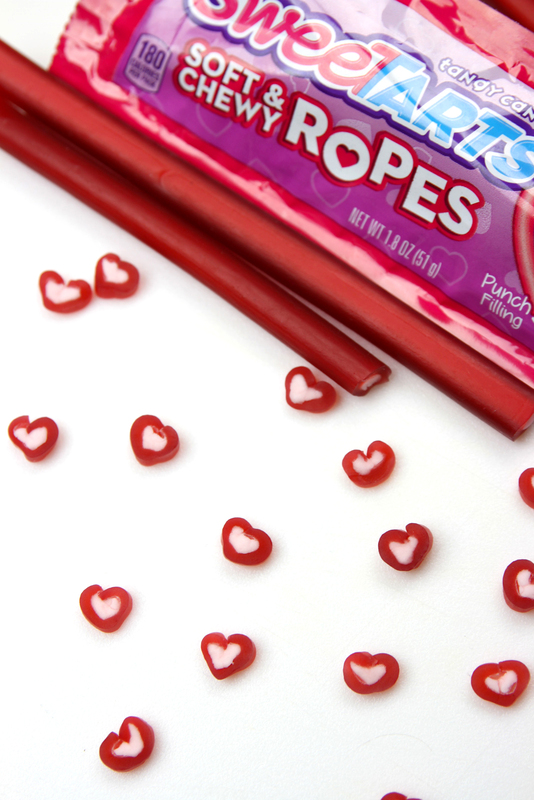 The SweeTARTS Soft & Chewy Ropes are cherry flavored licorice on the outside, with a soft and chewy SweeTARTS center. And what I discovered, is if I cut them into thin slices, I could gently break them apart, and pinch them in the shape of little hearts. Don't they look cute! Spray your lollipop mold with cooking spray, then wipe out any excess. 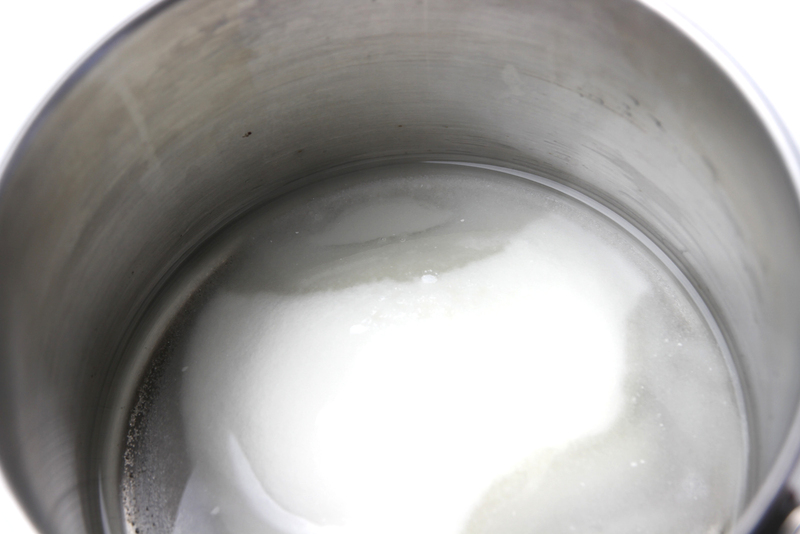 In a saucepan combine sugar, cornstarch, and water. On medium heat, watch as the liquid comes to a boil. Be careful to watch your candy thermometer. At first it will rise slowly, but then it will speed up, so definitely keep an eye on your saucepan. 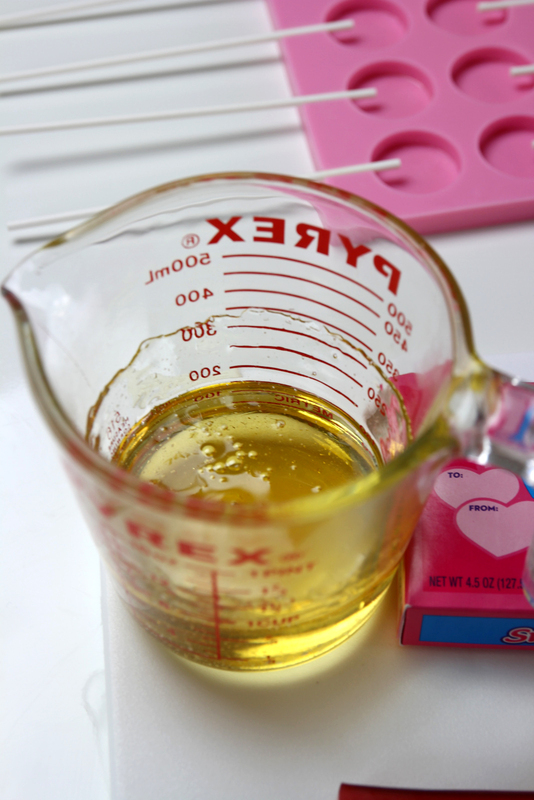 When the sugar mixture reaches 300 degrees, transfer it to a glass measuring cup. The sugar needs to be 310 degrees to harden, but the temperature of the sugar will continue to rise, even as you transfer it. If you keep it boiling too long, the sugar will start to darken. Here's what the lollipop liquid looks like. It cools quickly, so you'll want to work fast. 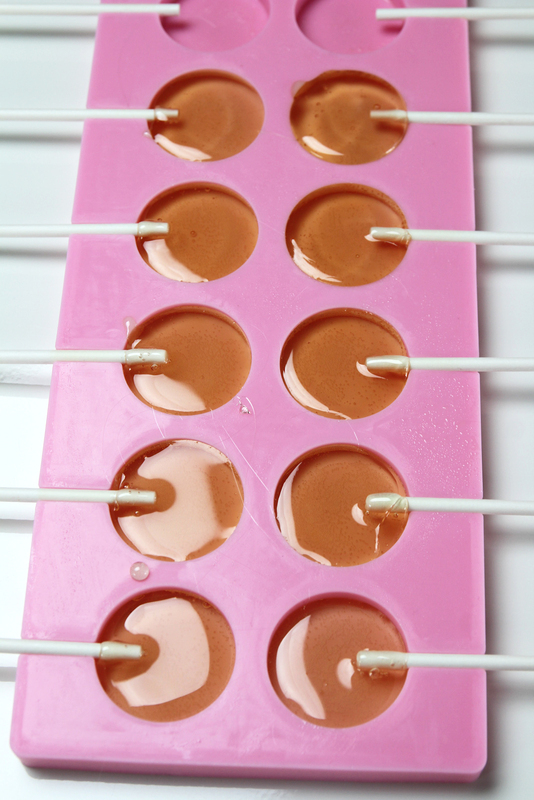 Pour the mixture into each lollipop mold. Twist the lollipop sticks to make sure they're covered. 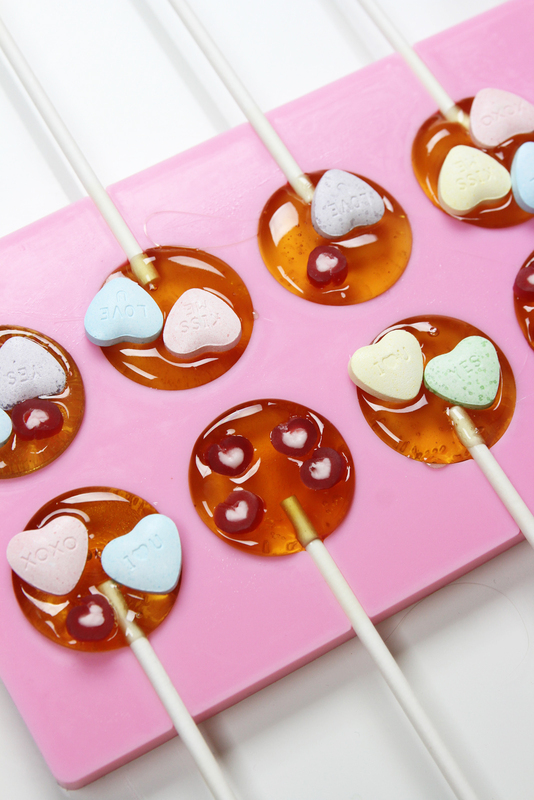 While the sugar starts to set, add your SWEETart Hearts and Chewy Rope hearts. Your lollipops will harden in about ten minutes. 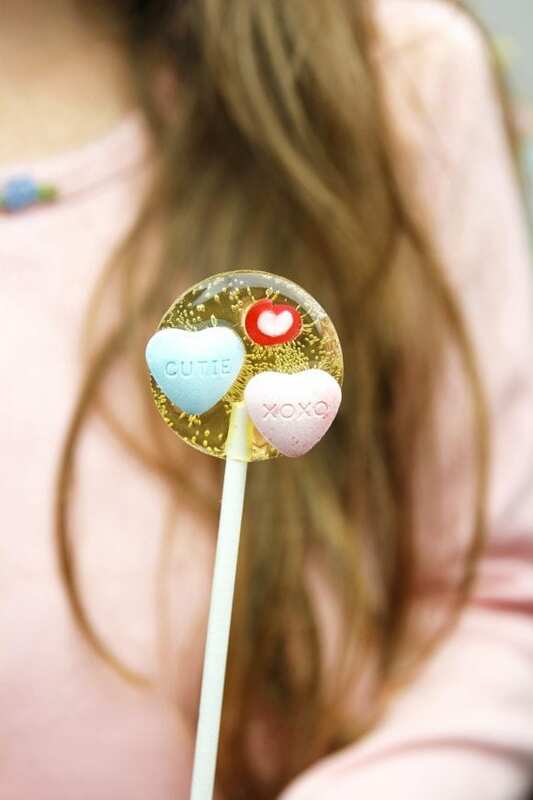 I love that by adding the heart inscriptions I get to share my love on Valentine's Day right on my lollipops. Here's the one I made for my daughter because she is definitely my cutie!! 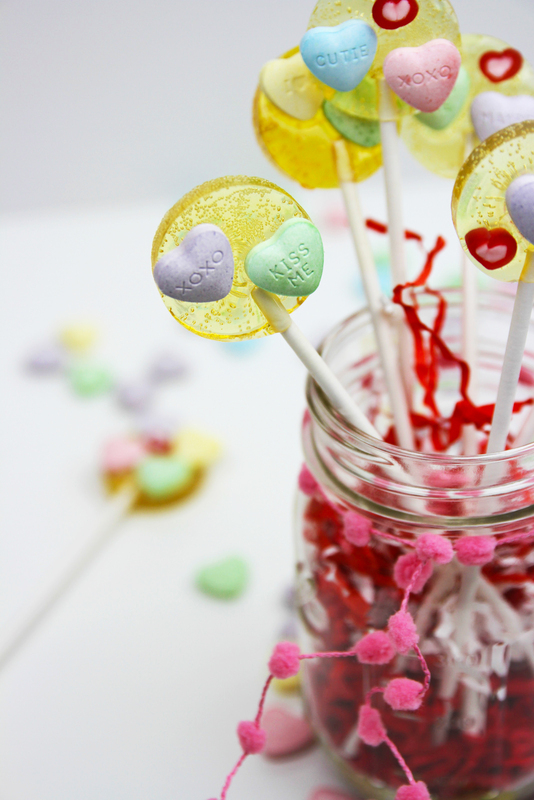 To display my pops, I placed paper shreds inside a mason jar, tied a pink pom pom ribbon around the jar, and placed the lollipops inside. We're planning to give these out to friends and neighbors as a special Valentine's Day treat. Personally, I loved how they turned out, and what a fun way to share my love on Valentine's Day! 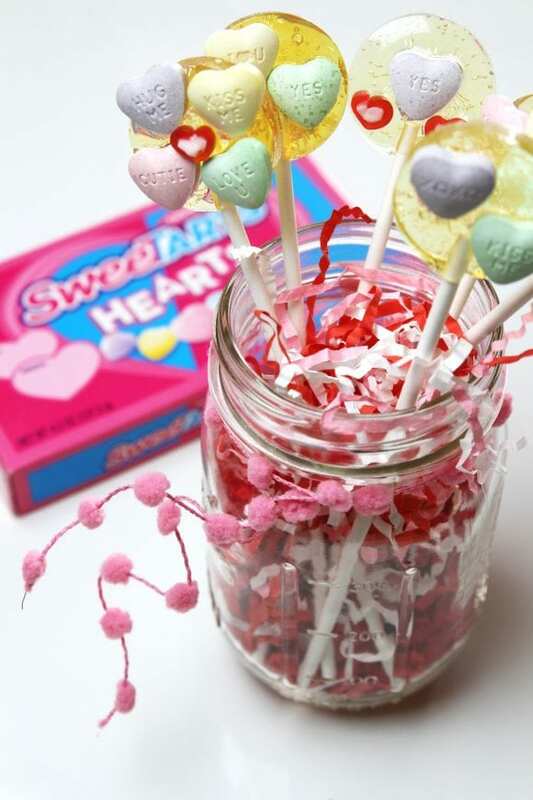 SweeTARTS Hearts and SweeTARTS Soft & Chewy Ropes are the perfect pairing to complement your Valentine’s Day. Also, use the gift tag directly on the packages to share them with friends, classmates and co-workers this Valentine's Day. 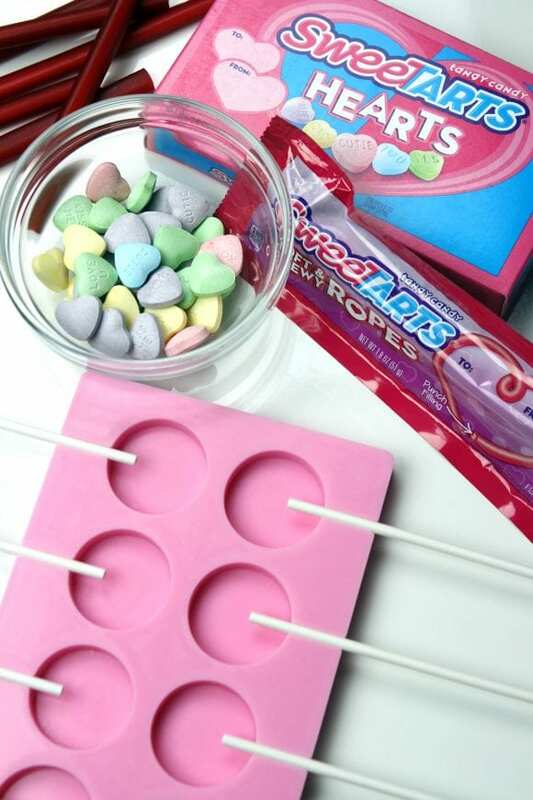 Both SweeTARTS Hearts and SweeTARTS Soft & Chewy Ropes contain no artificial flavors and colors. This is a sponsored conversation written by me on behalf of Nestlé. The opinions and text are all mine.